After a good few months of 80's musical hits remixed for the Amiga, Aaron White has finally gone back to what he is seriously good at, and that's remixing gaming tunes from old systems such as the C64. However this time instead of doing C64 tunes he's decided grab six Sega Master System classics that are well known by so many such as Shinobi, Wonderboy, Renegade, Choplifter, Shadow Dancer, and Wonder Boy Dragons Trap, all tuned up for your Amiga pleasure. 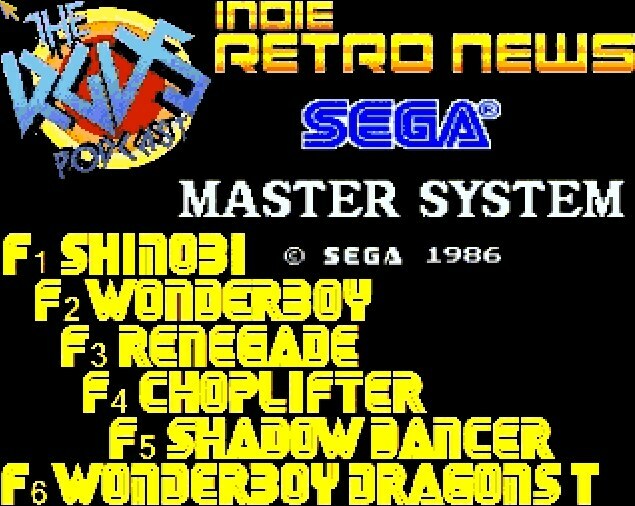 This is ' The RGDS Podcast Presents - Sega Master System Hits (Indie Volume One) ' in partnership with Indie Retro News, what a great way to start your weekend!